Search Results for "baby car"
Lovely baby boy playing with a big car toy on floor at home. Kid boy toddler playing with toy car indoors. Future driver. Funny toddler boy indoors. Cute boy sitting in the baby car chair near the window and waiting for something. Small beauty girl at park amusement on small toy machine, drive. Little happy girl riding in a baby car in the Park. A little baby driving car. The baby sleeps in the car in the way. Sleeping child at back chair in car. Little child baby boy lying on the floor carpet indoors in baby room, looks at a toy car, dressed in a stylish hat. 1950s: Baby holds magazine in front seat of car. Baby sits in car seat and looks at magazine. Baby sits in car. UNITED STATES: 1960s: lady delivers baby in back of car. Police man delivers baby in car. UNITED STATES 1930s – Woman places baby in toy car. Baby rides in toy car. UNITED STATES: 1960s: lady delivers baby in back of car at night. Police man helps deliver baby in car. 1960s: UNITED STATES: baby born in back of car. Ambulance arrives by police car at night. Police man delivers baby in car. UNITED STATES 1930s – Woman places baby in toy car and disappears behind a wall. Baby rides in toy car. 1950s: Baby holds magazine in front seat of car. 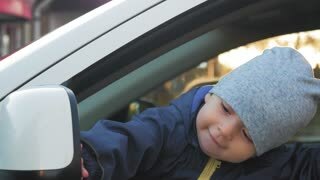 Baby looks out window of car. (8mm Vintage) 1952 Dad Holds Baby Car & House Background. Iowa, USA. 1960s: View of cross. Painting of last supper. Close ups of women. Close up of baby. Cars driving on highway at night, shot goes out of focus. UNITED STATES 1930s – Woman places baby in toy car and disappears behind a wall. Another woman turns baby in opposite direction. 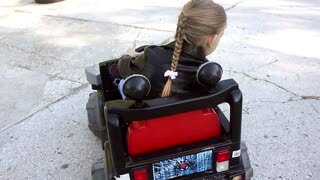 Rides in toy car toward wall. Child falls asleep in a child car seat. Boy baby kid in the children's car seat in the car rides. Little baby child infant an automobile armchair. Time Lapse. 1950s: Man sits with baby in car. Colorful flowers in garden. Family and baby gather in living room and talk. 1920s: Car drives into dealership. Men look at Model Ts in dealer lot. Man feeds chicken near farmhouse and car. Woman loads baby basket into car and drives off farm. 1950s: Family evacuates beach house with suitcases and get into car. Father holds baby and gets into car. Car drives away. UNITED STATES 1930s – Baby rides toy car. Woman hides behind wall. Baby rides behind wall.